CCI had worked with Empired on previous projects so the team contacted Empired to discuss developing a workers’ compensation portal. As an existing Microsoft customer, CCI saw value in building a solution based on the Microsoft stack and knew that Empired could deliver. Clients now have a portal they can log into immediately and see their claims data. 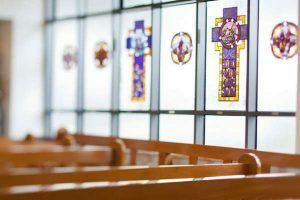 Each Catholic Archdiocese may underwrite hundreds of schools or aged care facilities, for example, which means managers need a holistic view across all of these organisations.